Blush Pink Wedding Dress from Wedding Dress Fantasy. The sensational mermaid style gown is absolutely gorgeous. 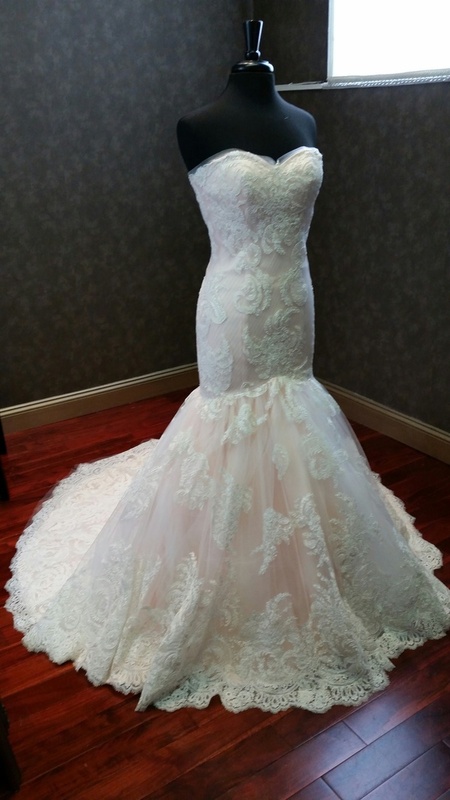 The dress is made from a blush Bridal Satin underlay with a beautiful Ivory Lace overlay. The sweetheart neckline with illusion tulle is simply stunning. Other colors available for the underlay. Please contact us if you want to make any changes. Shown in zipper back, available in corset back ($75 additional).